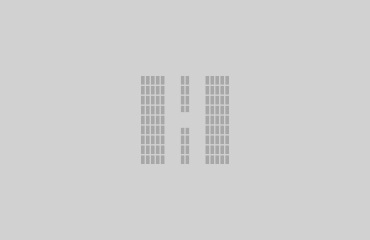 Higashikawa Award consists of the Overseas Photographer Award, the Domestic Photographer Award, the Special Photographer Award, and the Hidano Kazuuemon Award. 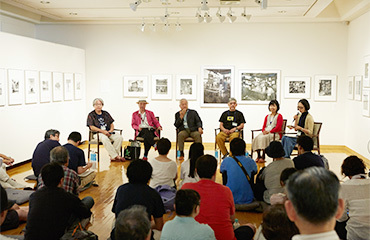 The Town of Photography – Higashikawa Panel of Judges choose the winners from the works that nominators from all over Japan have nominated. It’s a party where one can try fresh and tasty local dishes. During the event the photographers meet with the townspeople and other participants. It’s an opportunity to meet people and make good memories. 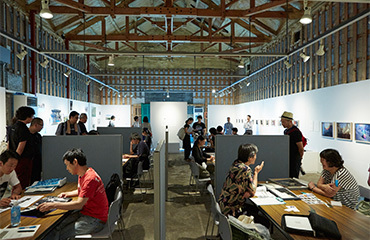 The Auditions are supported by the Tokyo Institute of Photography and Horiuchi Color Ltd.
We, the Town of Photography – Higashikawa, hold the Red Brick Open Portfolio Auditions to find new talented artists and help develop the photo culture. 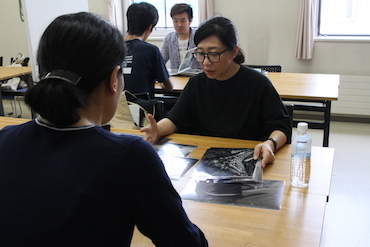 Not only the judges evaluate and give feedback about the artists’ works, but it is also an opportunity to meet lots of people who are visiting the festival, as well as contribute to the photo culture. 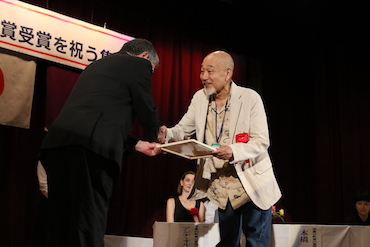 The Grand Prix winner gets the opportunity to be exhibited at the Tokyo Institute of Photography and publish a photo book. We – the Town of Photography hope that these auditions will help us uncover new talent. 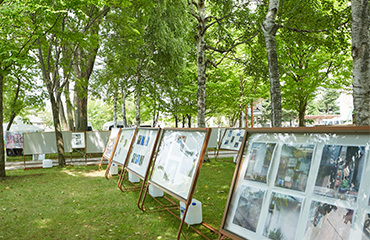 The Town of Photography holds a unique portfolio review that gives people, regardless of their age or career choices, a chance to meet with representatives from the worlds of photography and publishing. It is not only a place to get feedback about your work, but also an opportunity to promote it and expand your network. This year we will be having 3 reviewers, and each participant will have 20 minutes to discuss and get feedback about their work. We are looking for exhibitors for the annual Higashikawa Free Forum 2018: Photo Independence Exhibition “Meet and Review”, which is a part of the Higashikawa International Photo Festival and is supported by Nippon Camera Co., Ltd. Not only can the exhibitors showcase their work on a wall with the size of 1.8m×2.2m, but they also have an opportunity to discuss their work with professional photographers, critics and curators. 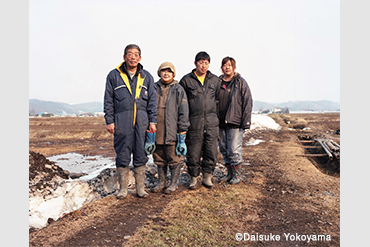 Outstanding works will be featured on the Nippon Camera Magazine. We are looking forward to your participation and hoping that this event will help you spread your wings. The event is supported by Sony Marketing Inc. and Epson Sales Japan. 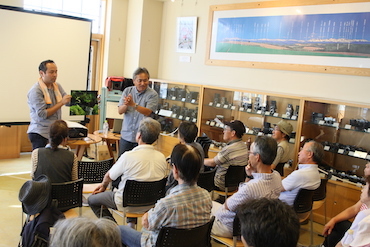 This is an event where one can enjoy taking photos of beautiful nature using Sony α7 III and α7R III full-frame mirrorless series cameras, as well as enjoy conversation with both the lecturer and other participants. 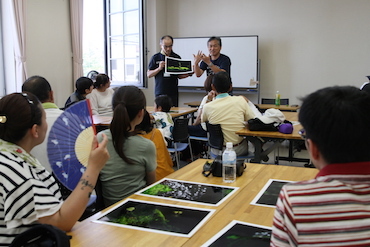 After the photo session, we will use Epson’s Colorio V-edition Series high quality printer to print the photos, and have comments from Mr. M.Takahashi. Anyone is welcome to join. Supported by Nikon Imaging Japan Inc. 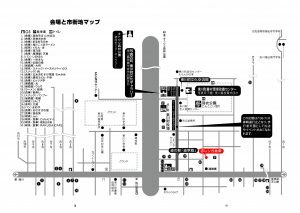 The 34th Higashikawa International Photo Festival’s “Street Gallery” is an open exhibition on the street. 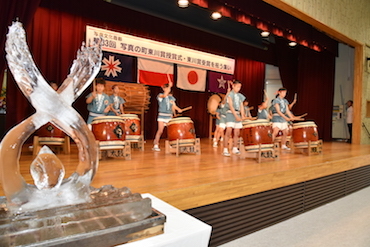 The contest is divided into two categories – ‘General’ and ‘High School Students’. The first one has no restrictions on genre, age, etc. ; the second one allows high school students to participate for free (children who are not high school students need to apply for the ‘General’). Participants will be asked to display their work on a 90×180cm panel in a way that best shows their individuality and character. It is a good opportunity to show your works to professional photographers, magazine editors and other visitors, and get some advice. We are looking forward to your applications! 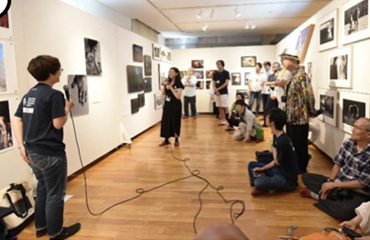 The Grand Prix winner will receive Nikon SLR Camera and have an opportunity to be exhibited at the Higashikawa Bunka Gallery and Nikon Shinjuku Photo Square. 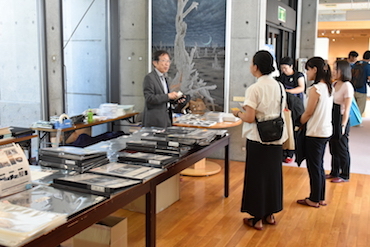 The exhibition is supported by Canon Marketing Japan Inc. In July 2018 we opened the Cultural Exchange Center CentPure I & II. 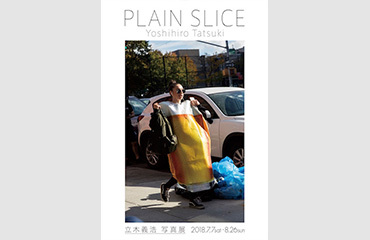 To celebrate the grand opening, we are hosting an exhibition of the photographer, the head judge of the high school students’ photo competition “Shashin Koshien”, Mr. Yoshihiro Tachiki. This is an exhibition called “Abscura” by the Red Brick Portfolio Audition 2017 winner LILY SHU. 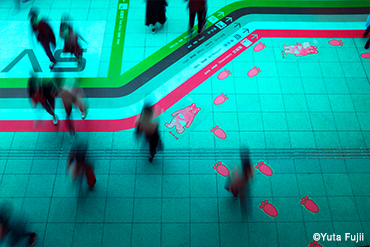 LILY SHU is a researcher at the Tokyo University of the Arts. She changes the concept of time and memory, and looks for the relationship between human beings, urban environment, and nature. 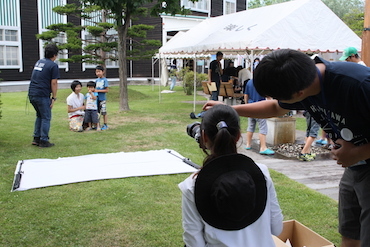 Alumni of the Photo Festa Friends stay in Higashikawa for about a month, taking photos and trying to capture everything they see and feel during their stay. 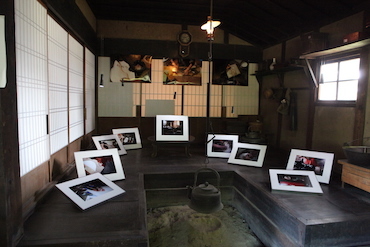 Those photos are then exhibited at the Higashikawa Artist-in-Residence Photo Exhibition. 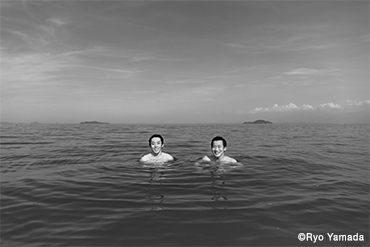 This is a group exhibition by the alumni of the Photo Festa Friends. 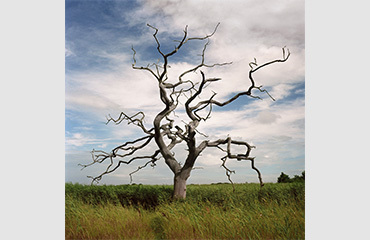 This exhibition gives us the opportunity to see how much experience they have gained and how much their works have evolved since their volunteering days at Photo Friends. July 31 (Tue) – August 31 (Fri) 10:00-17:30 at Bussan Center, 2nd floor (Kitoshi Shinrin Koen Kazoku Ryoko Mura). This is a photo exhibition by the students of the Department of Photography at the Nihon University, offering many ambitious works by young photographers who aspire to dominate the photography world in the future. This is a photo exhibition by the students of the Osaka University of Arts, where a variety of works are displayed in a vacant shop. 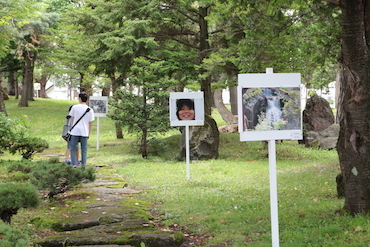 This is a photo exhibition by the local photo club. 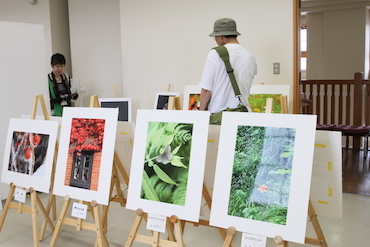 This exhibition celebrates the 25th anniversary of the high school students’ photo competition “Shashin Koshien”, displaying the finalists’ works throughout the years. 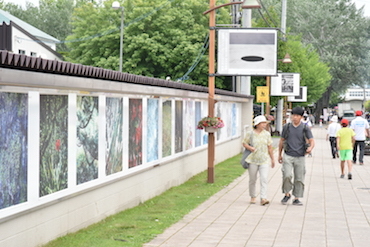 This exhibition celebrates the 25th anniversary of the high school students’ photo competition “Shashin Koshien”, displaying selected works of the winning schools throughout the years on a 40 m long wall. 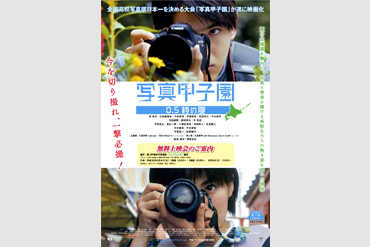 This exhibition is supported by Epson Sales Japan Corp.
Higashikawa Youth Photo Club was founded 6 years ago. This exhibition allows us to see how the members’ works have improved and evolved through the years. 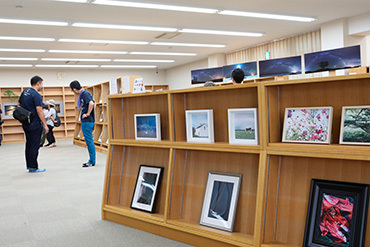 This is a photo exhibition of the elementary and junior high school graduates (4 elementary schools, 1 junior high school), where their portraits are put on display as a memory of their graduation. 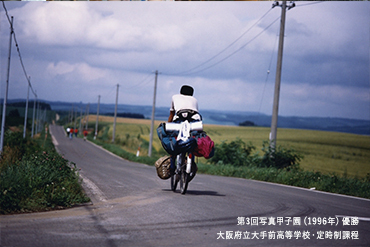 This is a photo exhibition by the students of the Nippon Photography Institute, where they have focused on the students who come from Higashikawa but now study in the Kanto region, as well as the working people of Higashikawa. 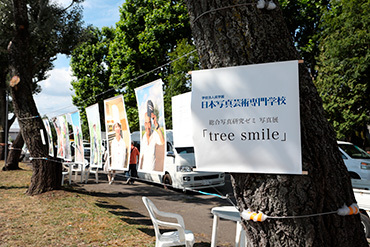 “Shashin Koshien” alumni offer the families, couples, friends and other festival visitors to take their photo and give it as a present. This is a collaborative project with the PhotoCON magazine, where the participants go around and explore the local photo spots together with Mr. M. Takahashi. After taking photos, they will be displayed on the 4K monitor and reviewed (anyone is welcome to come and watch). The event is planned to be featured on the PhotoCON magazine’s October edition. 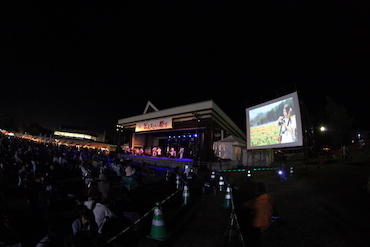 This is a stamp rally and a photo contest using Fujifilm instant cameras, also known as “Cheki”. 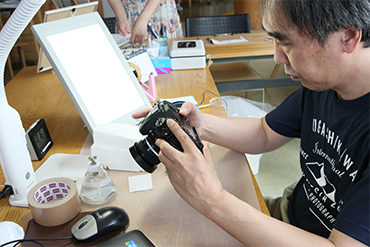 The participants are asked to submit their one best shot and the winners will receive “Cheki” as one of the prizes. We hope that by visiting the festival and exploring the photo spots you will re-discover and re-appreciate the beauty of Higashikawa. Anyone, including children, is welcome to join (maximum 50 groups/day). Supported by Cosmos International Inc. Here you will be able to find such high-quality products as the Belleza Portfolio Book, the premium PICTRAN Inkjet printing paper, etc. Supported by NTA Camera Services Ltd.
We offer a cleaning service for your DSLR camera. 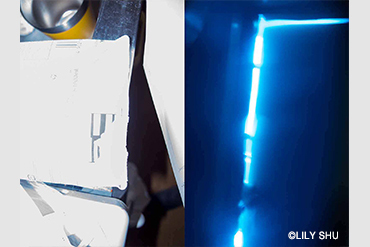 *Make sure your battery is fully charged and lens attached. It might take a long time or some cameras might not be accepted depending on their condition.